Beth's Super Awesome Blog: Some birthday gifts for me! Yesterday I went to H&M (the first one in Denver - WOOHOO!!) to cash in on some of my gift cards. I was SO excited, and they had SO many super cute things just in time for Spring! 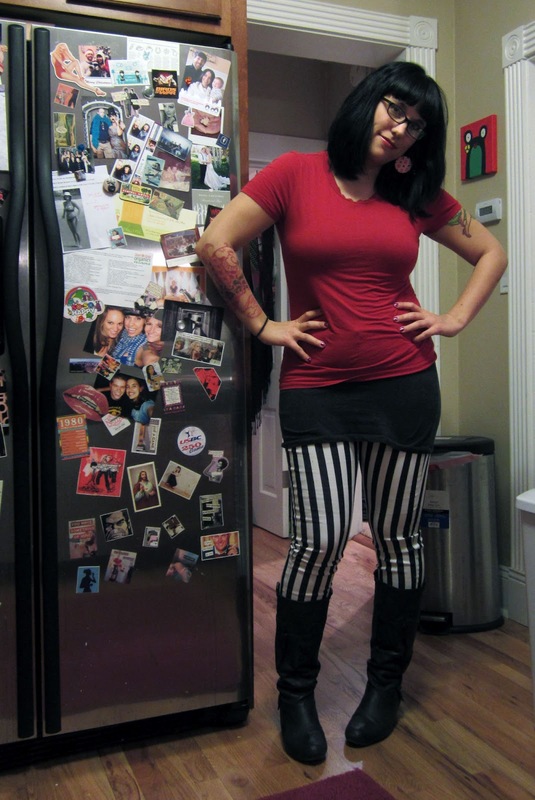 I found these ridiculously awesome striped pants - they're stretchy and stripey and amazing! They actually are cropped, so they come just above my ankle, but last night it was kinda chilly, so I covered 'em up with some boots. They have now been deemed my "Beetlejuice pants". Haha! I also got a pair of ridiculously huge hoop earrings, a pair of jean shorts, and some cropped pants similar to these in style & length, but black with HUGE colorful flowers on them. I can't wait to wear those too! 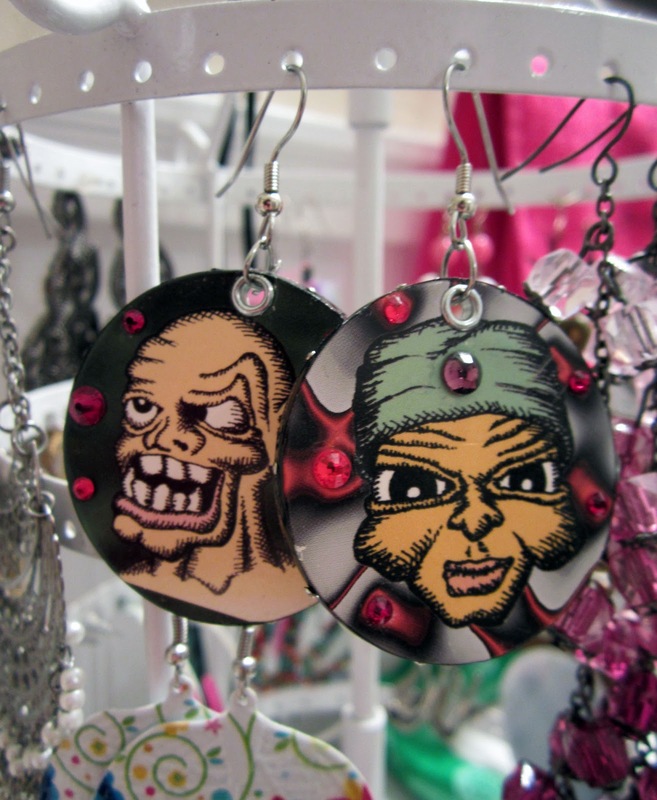 Another birthday gift came from my good friend Katy, who MADE me some earrings out of none other than.....(drumroll).... 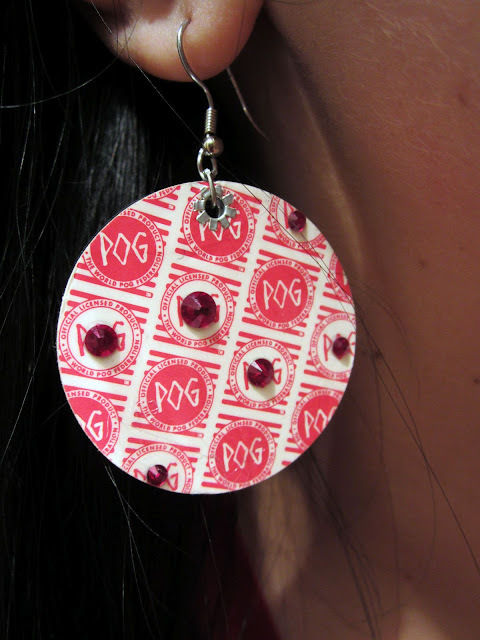 POGS!! Yes, you heard that right, folks. Pogs. Do you remember those things? I didn't have very many, and I'm pretty sure I lost all of them during childhood. But Katy kept all of hers, and she showed me about a jillion of them that she had in a shoebox! AWESOME, huh?? She glued the rhinestones on them, and used crafting tape around the edges, then sealed everything with a clear coating. These are the other ones she made for me. I friggin' love them! Haha! I love H&M! I remember pogs. :) What cool gifts!